Glen Echo Glassworks | Glen Echo Glassworks is the glass studio and art of Paul Swartwood. 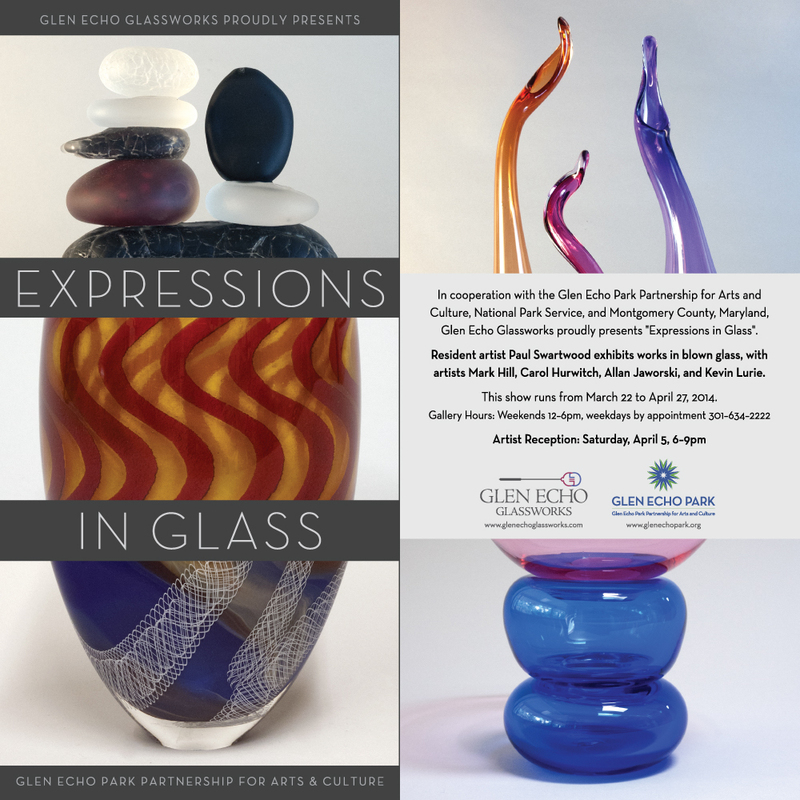 In addition to teaching glassblowing classes at Glen Echo National Park, he also provides private lessons to individuals who want to refine their techniques in glassblowing and produces his own custom designs and artwork. 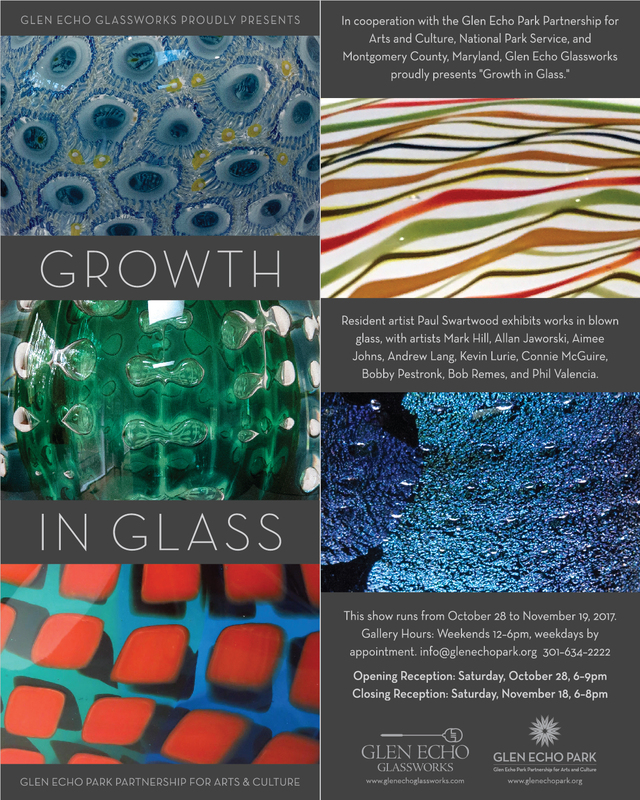 You are invited to the show “Growth in Glass” to be held by the Glen Echo Glassworks at the Glen Echo Popcorn Gallery. The show runs from October 28 to November 19, 2017. Opening reception is Saturday, October 28, 6-9 pm. Closing reception is Saturday, November 18, 6-8 pm. Galllery hours are weekends 12-6 pm and by appointment (info@glenechopark.org, 301-634-2222). Come, see, and buy some outstanding work in blown glass. 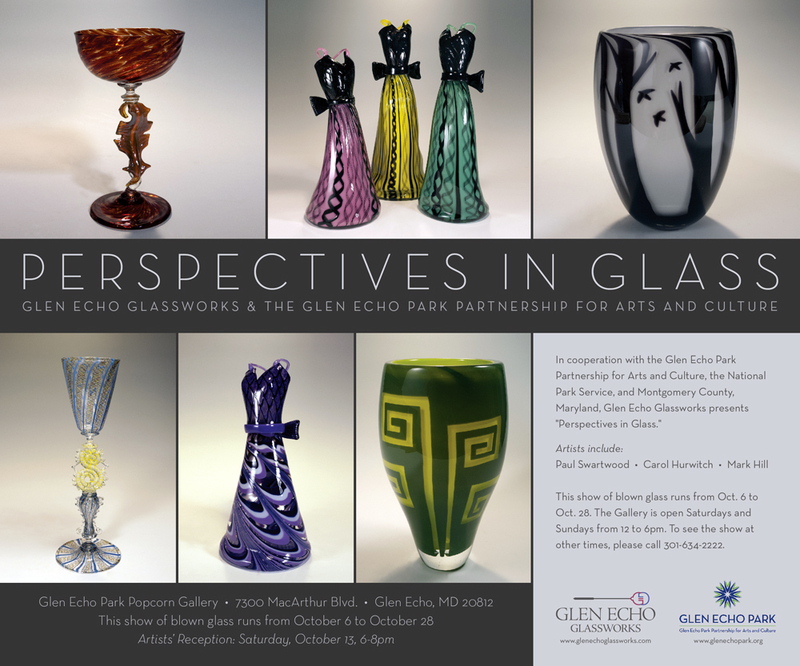 The Glen Echo Park Partnership for Arts and Culture is pleased to present Expressions in Glass. 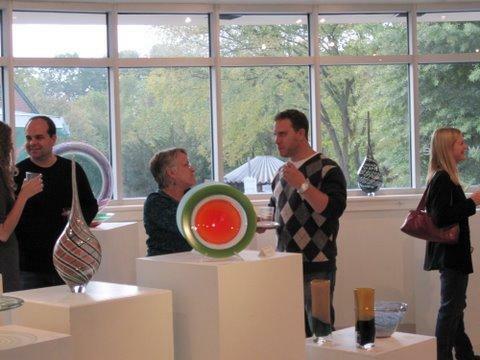 Resident Artist Paul Swartwood exhibits works in blown glass with artists Mark Hill, Carol Hurwitch, Allan Jaworski, and Kevin Lurie. Glassworks presents: Contemporary Designs in Glass. Featuring resident artist Paul Swartwood, Mark Hill, and Kevin Lurie. The exhibition is in the Park’s Popcorn Gallery. Opening Reception is Saturday, October 9, from 6 to 9pm. Gallery Hours: Sat/Sun, 12 – 6 p.m.
Fall/Winter Class Registration Now Open! Registration for all fall and winter classes is now open. Click here to browse and register for classes. Join us for popular classes in photography, fused glass or painting and drawing, or try out something new with silversmithing workshops or dance classes offered by the Metropolitan Ballet Theatre. There is something for all ages – from early childhood music programs to swing dance classes or yoga – there are so many ways to explore your creative side at the Park. Download the course catalog now. The printed catalog is available at the Park and at your local library or art store. Save the date for an Open House for Classes on Saturday, September 4 from 12 to 4pm, and learn more about upcoming programs.